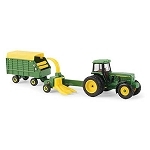 Set includes tractor and two forages wagons. 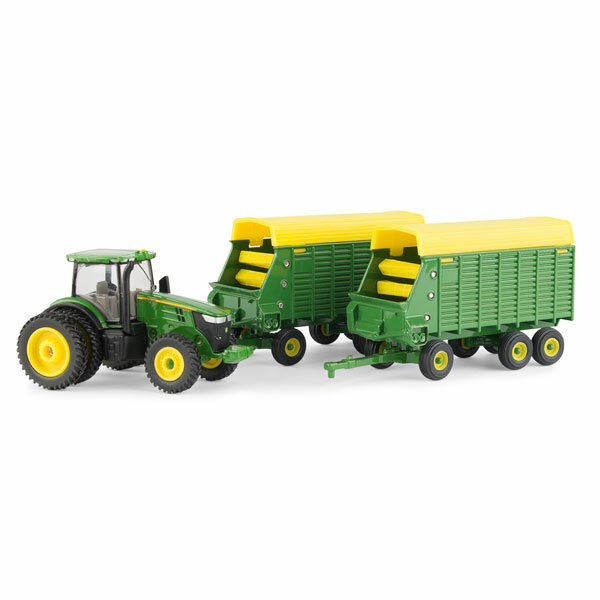 7290R features die-cast construction, clear windows showcasing detailed interior and hitches to other 1/64 scale implements. Forage wagons feature die-cast construction and rear hitch.